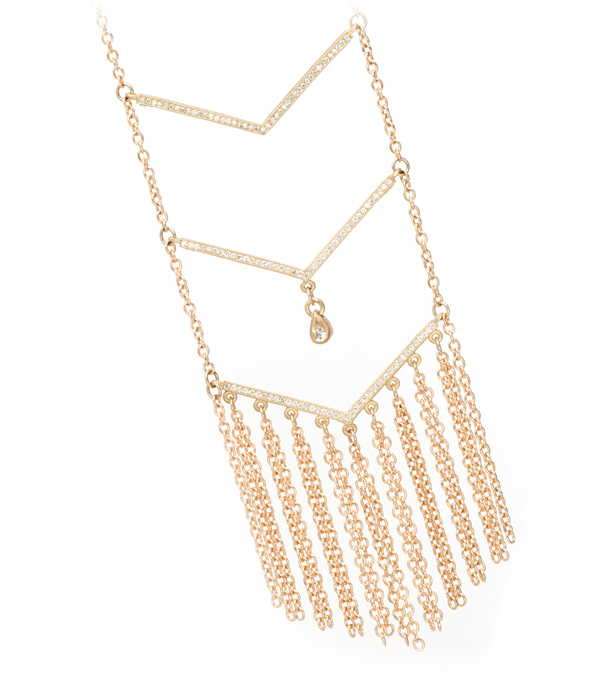 This one-of-a-kind 14K yellow gold layered necklace makes a fabulous accent to any outfit. Layer it up with our Hex Necklace for a bold statement, or wear it alone for an ultra-chic look! Triple tiered diamond pave chevrons (0.43ctw) glisten and sway gracefully from a dramatically long chain. 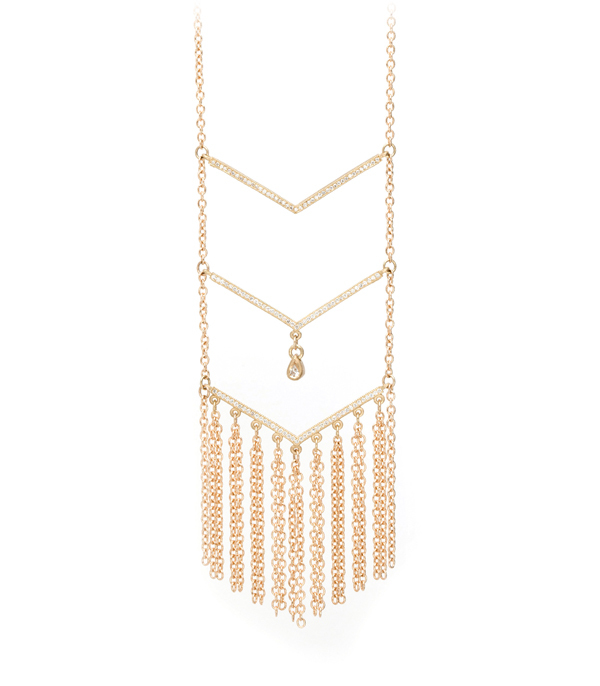 The diamond teardrop dangle accent and flirty fringe detail gives this piece even more sparkle with your every movement. What a brilliant gift for the lady who’s always looking for that bold statement piece and is never afraid of being the center of attention!